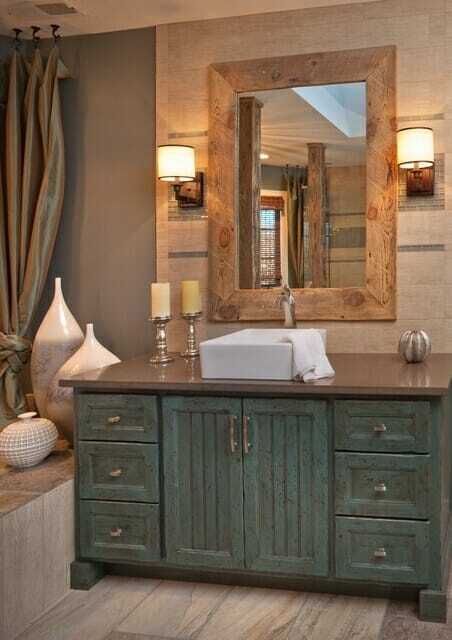 One of the biggest trends in bathroom remodeling today is using repurposed furniture as bathroom sinks and vanities. 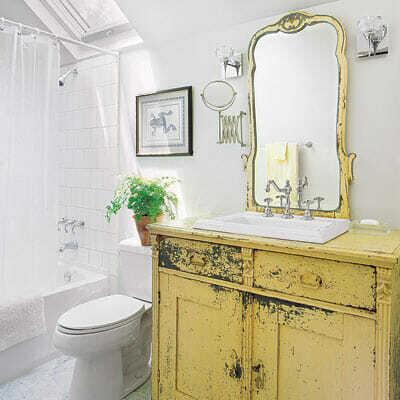 Not only do recycled vanities add a chic and interesting design element, but they are also functional. Here’s how to create an instant focal point in your bathroom using a completely unique piece that’s every bit practical. Choose a piece that fits your space. Choose a piece that suits your style. Pay attention to storage space. Leave some counter space around the sink. Make sure your piece is waterproof. Don’t forget about the hardware! This may seem obvious when you consider the length and width of your piece, but it’s also important to choose a piece that is the right height. Since this will be a functional piece, you need the sink to be an appropriate height for easy use. If you plan to use a vessel sink, don’t forget to factor in the added height of the actual sink body into the final height of the piece. 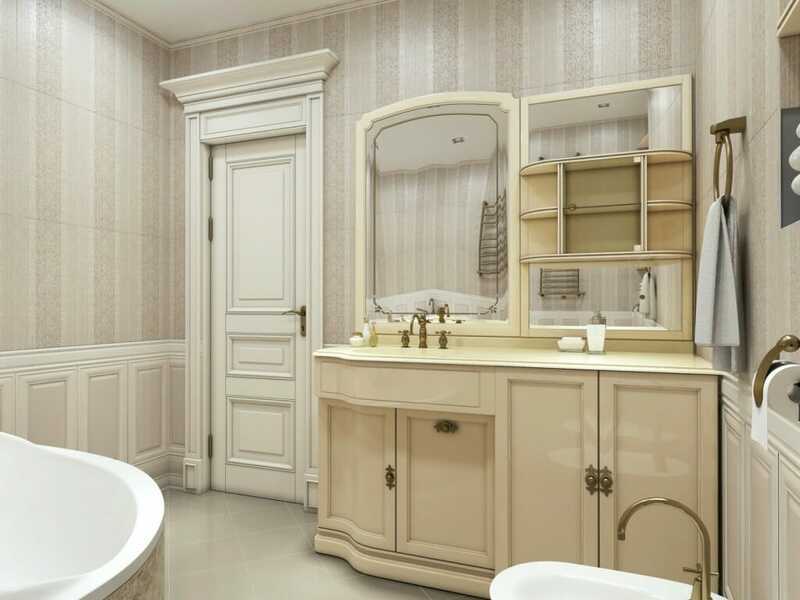 We suggest choosing a piece that’s between 30”(standard vanity height) and 36” (standard counter height) depending on the sink you plan to use. You will also need to choose a piece that is deep enough for the plumbing fixtures to fit inside. Standard P-traps will require at least 12 inches of interior space. 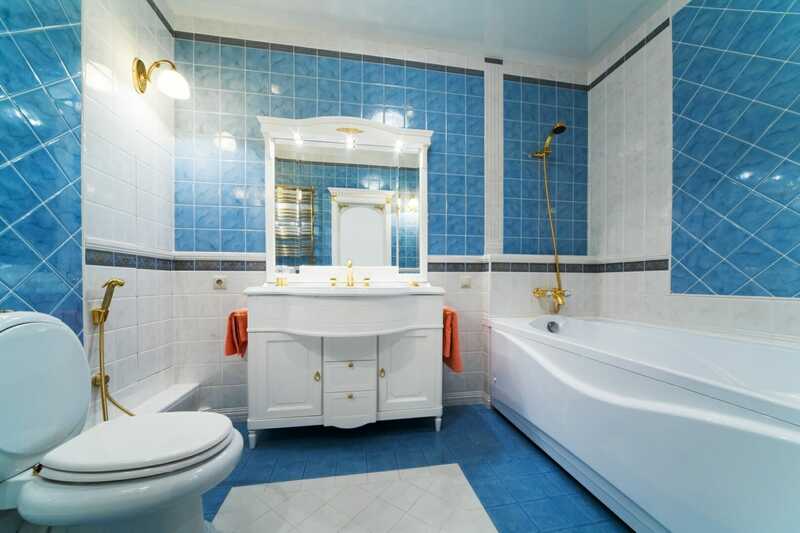 What’s the overall style of this bathroom? Modern? Rustic? Traditional? Retro? Shabby chic? 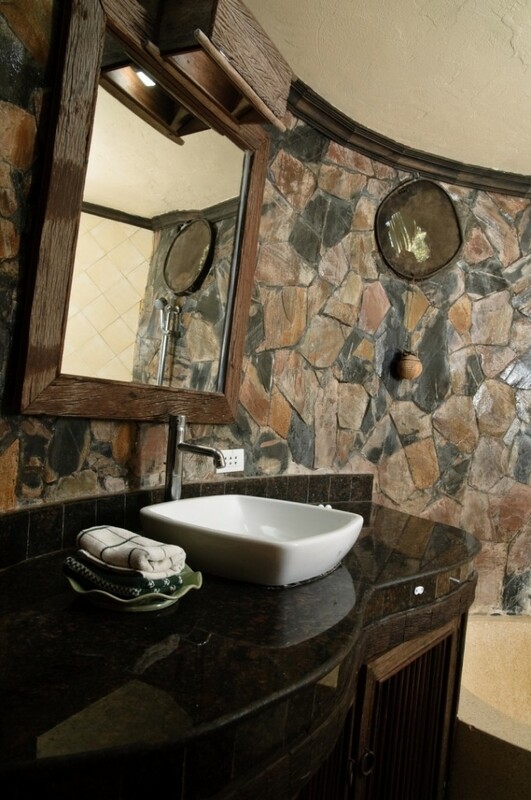 The sink and vanity can set the aesthetic tone for the entire bathroom. If you are remodeling the entire room, this may be the piece you want to build the rest of the room around. If you are adding a piece to an otherwise complete bathroom, consider how this piece’s style fits with your existing fixtures, and look for something visually interesting that still achieves continuity. Unless you plan to have an entirely separate form of bathroom storage, be sure to choose a piece with enough storage space to be useful even after the plumbing is run through it. 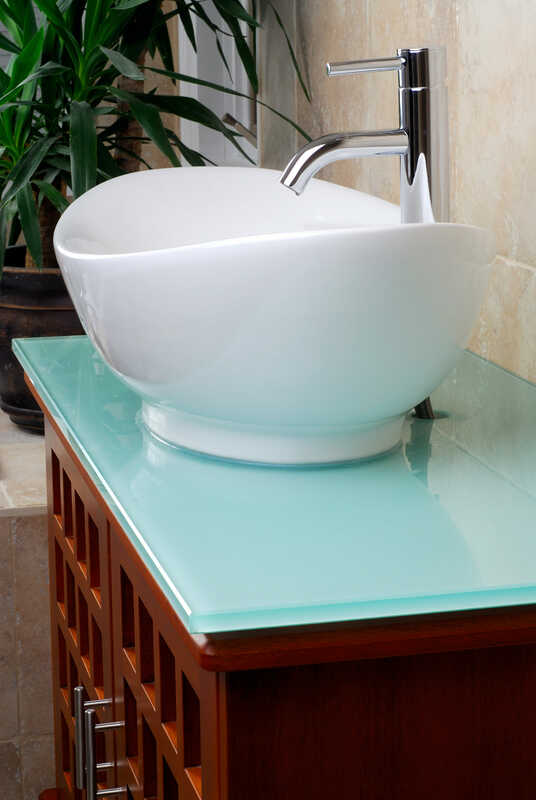 Even if you are using a small piece of furniture for the sink vanity, be sure that the sink you choose is small enough that there is still 3 to 6 inches of counter space around the sink for things like soap dispensers or toothbrush holders. 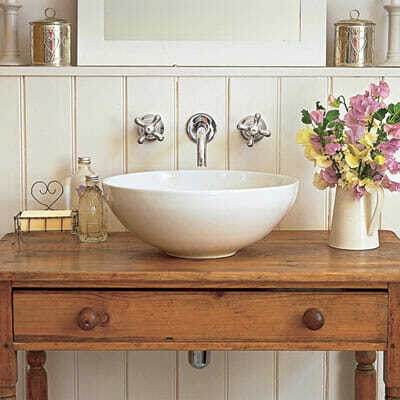 When converting a piece of furniture into a functional sink, you will need to cut or drill holes into the piece for the sink, the plumbing, and the faucet. Cutting holes in the wrong place or of the wrong size can be a disaster, especially when working with an older piece of furniture. Always be sure to double and triple check your measurements and make sure you calculate how all of the pieces will fit together before moving forward. When introducing water to a piece that was previously used for a different purpose, it’s important to add a granite or marble top, or to add a water-resistant coating to the original wood to keep it from being damaged and to help the piece last. Thankfully, this is easy to do. Several thin coats of polyurethane on the top of the piece will ensure the longevity of your new bathroom vanity. To make the piece look cohesive, you’ll need to tie your faucet and fixtures in with the hardware on the drawers and cabinets. Either select a faucet that suits the existing hardware and other hardware in the room, or switch out the cabinet and drawer handles and hinges to suit the rest of the room. These don’t need to match exactly, but it’s helpful to stick with the same style or color family.